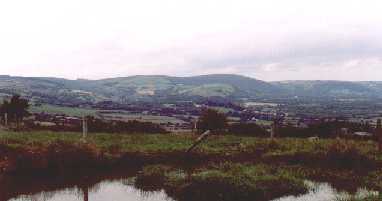 The village of Dromcollogher is nine miles south-west of the town of Charleville. Dromcollogher is the meeting point of the R519 from the north, the R515 from the east and the R522 from the south. Broadford is a relatively new village and was first recorded in the maps of 1837. The area grew as the village of Broadford began to prosper in the first half of the nineteenth century. The village is eight miles from the town of Newcastle West and is the meeting point of the R515 from the west and the R579 from the south. Dromcollogher-Broadford parish today: Click here to go to the Dromcollogher-Broadford parish website.